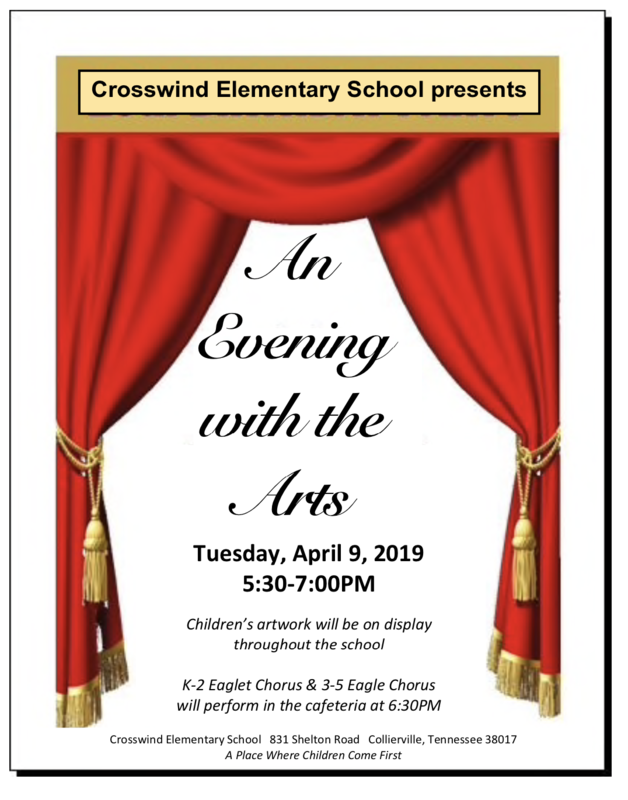 Join us for An Evening with the Arts on April 9th! Stop by the school between 5:30-7:00Pm to see our visual arts display (every child in the school has a piece of artwork on display!) Our PTA Meeting will be held at 6:00PM in the cafeteria and both chorus groups will sing after the meeting.